Our identities are made up of multiple dimensions that shape how we experience the world and the workplace. While all members of the LGBTQ2+ community may experience some form of biphobia, homophobia and/or transphobia at some point in their lives,those who are also people of colour experience the added burden of racism. This webinar will shed light on the additional struggles faced by LGBTQ2+ people of colour and provide tips and tools on how to support those who are marginalized. We can each do our part to combat workplace racism! Cicely Blain is consultant, writer, activist and artist originally from London, living on Coast Salish territories. 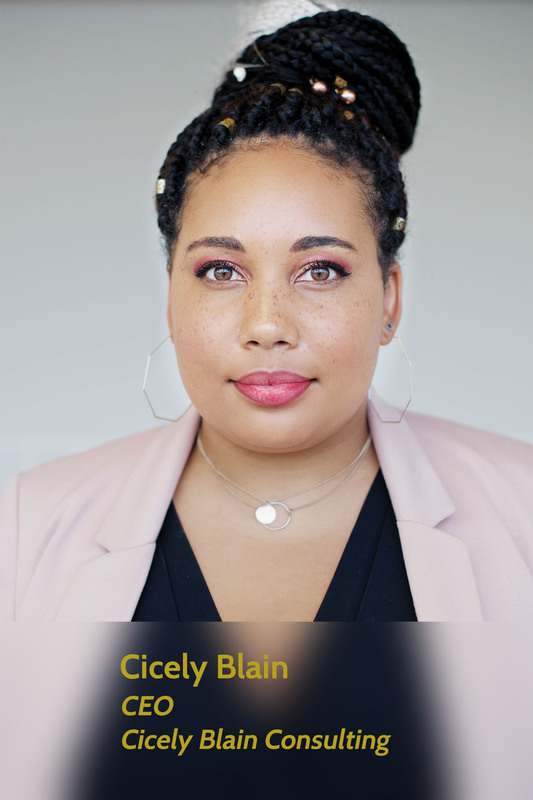 They are the CEO of their diversity and inclusion consultancy, Cicely Blain Consulting. They are a runner up of the 2014 YWCA Young Women of Distinction Award and the winner of the CCPA 2017 Youth Leadership Award in Social Movement Building for their work in Black liberation, intersectional feminist community building and LGBTQ advocacy. Cicely is also a columnist for Daily Xtra, the Body is Not An Apology and Beyond the Binary publications.